Each time that I start a music project I wait to see if the music is going to come out as solo Native American-style flute music or whether there will be orchestration. I admit to a certain soft spot for orchestrated soundtracks, and I think I naturally lean to string arrangements with the addition of traditional woodwinds like the silver flute and the oboe. The Sacred Wood Block Used on "Tracking the Bear"
After completing the album, I noticed that the flute phrases would appear in different tracks, slightly altered as if they were sweetened scents on the wind. Of course! I was tracking a musical scent. I hope you enjoy the result. Look for it on BandCamp and iTunes in February, 2012. If the Native American style flute puts you in another world, this album will guide you to another universe! In the spirit of the Talking Stick, I decided you use the flute and include close harmonies using the 4th, 5th and 6th notes of the scale of the individual flute. The result on the listener seems to cause a drifting feeling, where memories and plans can come together. Lately I have been drawn to flutes in keys below middle E.
I thought that I would take a break from recording for a short time – but then I saw a talking stick in my mind’s eye. 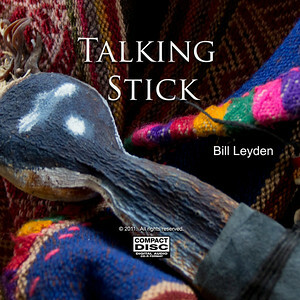 I am not sure where I heard about the lore of the talking stick; many cultures have employed something like it. The possession of the talking stick gives a council member the right to speak uninterrupted until the stick is passed to the next member. Possession of the stick is also said to empower the holder with the gift of clear communication. Maybe because my brother was visiting me this year again and I was hoping to chat with him quietly heart-to-heart. There is no one in my life left who knew me as a boy; all of those friends are gone, and prematurely so. And although his visit was better in this regard than last year’s hotly delivered political opinions, I thought that maybe next year I will have a talking stick ready. Then maybe the ritual will let us shed the topical and experience the essential. That may be a tall order in an election year. 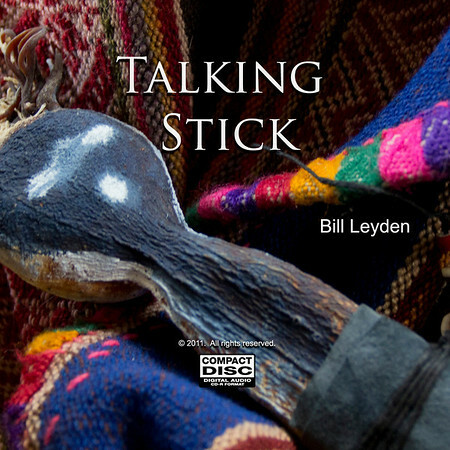 So I therefore have the working-title for the next flute project: “Talking Stick.” In this album, I will use the Native American style flute to scrape the surface of my personality away and attempt to get to my deepest feelings. I will use some orchestration, but minimally as a balm to a burn. To begin the album, I used an EZ-Anasazi flute in the key of A made by my friend and master musician and craftsman, Stephen Deruby. You can hear the unnamed first track of this as-yet unreleased album by clicking here. When I record for this album, I am hoping that the melodies will track directly to my heart and clear it so that I may play clearly, without artifice. I hope you enjoy it.